Split Screens Festival: David Costabile has proven his ability to play hard-edged, intelligent eccentrics in a variety of settings. From his breakthrough role as Detective Rick Messer on Damages through his hilarious and haunting turn as meth chef Gale Boetticher (the would-be Salieri to Walter White’s Mozart) on Breaking Bad, he’s the sort of actor who draws the eye no matter where he is in the frame. He’s an electrifying listener and watcher, creating old fashioned movie star tension by making you wonder what his characters will say or do next. 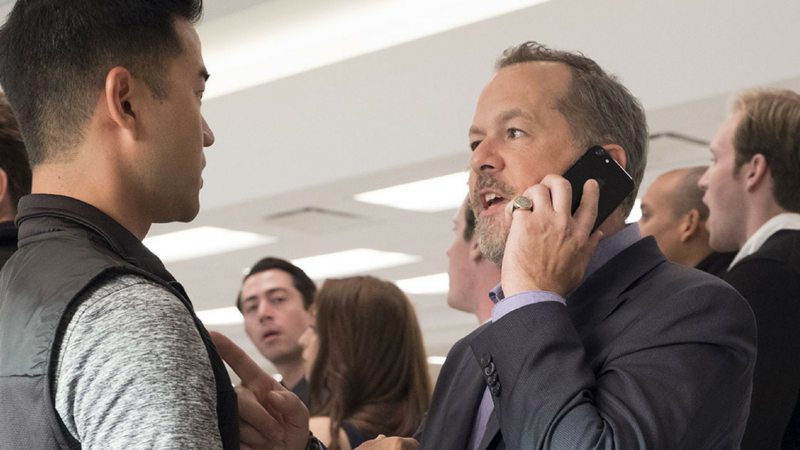 He’s at the peak of his power inhabiting high finance enforcer Mike “Wags” Wagner on Showtime’s drama Billions, a character whose knife-flick menace is wreathed in elegance and dry wit. Join us as we discuss a great character actor’s bottomless repertoire of disappearing acts.